I read a lot of books. I read fiction, nonfiction, books for adults, and books for children. I think that age in regards to reading is just a number. (And as I am not very good at numbers, this fits me quite well.) 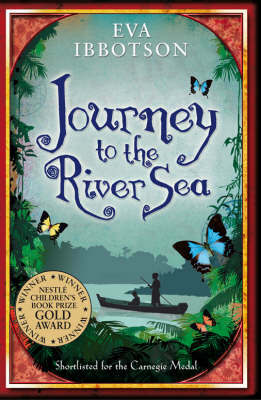 Lately I have been reading a lot of novels intended for children; however, to put an age limit on Eva Ibbotson’s Journey to the River Sea would be a crime. Eva Ibbotson has written many books with female protagonists. Some of the heroines were beautiful, but boring. Others were too often far too chipper for my taste. However, she is an excellent storyteller with many great novels to her name, and Journey to the River Sea is no exception.